Cruise Sold out! (Eff Dec 11, 2018) RE: Special Event New Years Eve Full Dinner and Dance Party - NO MINORS PLEASE (allowed only if accompanied by parent guardian for this event). 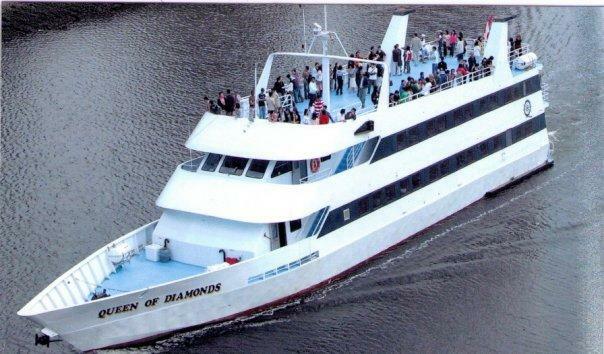 Includes Fireworks Show display at 9PM on this 4.25 Hour Cruise plus 1 hour boarding and half-hour New Years dock-side party when ship returns at midnight. A Full Dinner Menu (Main entrees are Baron of Beef & Filet of Salmon) is served buffet style. DJ to play mix of music from top 40 to the classics for all ages. Licensed Bar available (accepts Cash, Visa, Visa Debit, MasterCard or Interact). 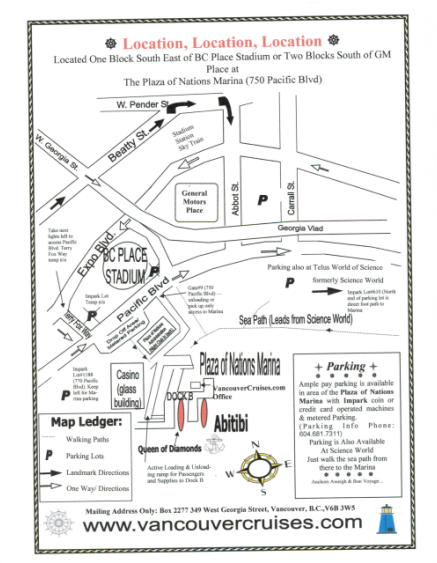 Map of Boarding Location at Plaza of Nations Marina along with parking information are included by email copy of online ticket order containing virtual tickets with boarding information. Ticket orders accepts Visa, Visa Debit or MasterCard. NOTE: Tickets are non-refundable. All tickets entitle the buyer to a reserved seat. No infant ticket needed for babes in arms or sitting on parent's lap.